Besides the 50th Anniversary edition of the AMD Ryzen 7 2700X, it appears there will also be at least one new video card to celebrate this event. 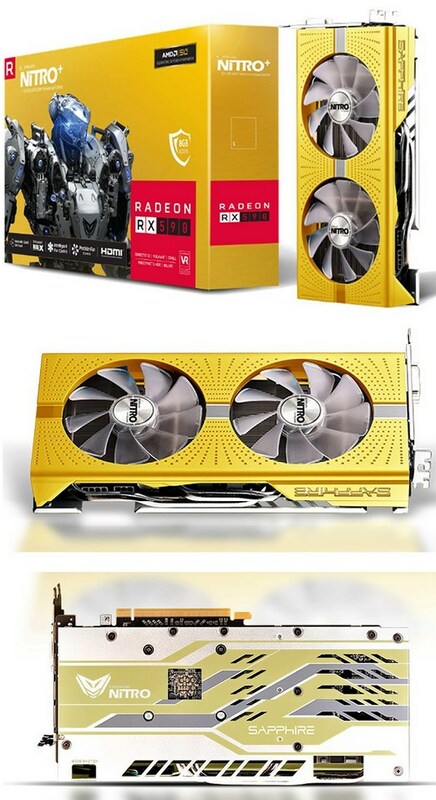 Details leaked about a new gold-colored Sapphire Radeon RX 590 Nitro+ for AMD's 50th anniversary. This card has a golden shroud with two translucent fans and also has a different backplate with some golden highlights. It's unknown whether there's anything else different than the design. AMD celebrates its 50th anniversary on May 1st so these products will likely ship soon.